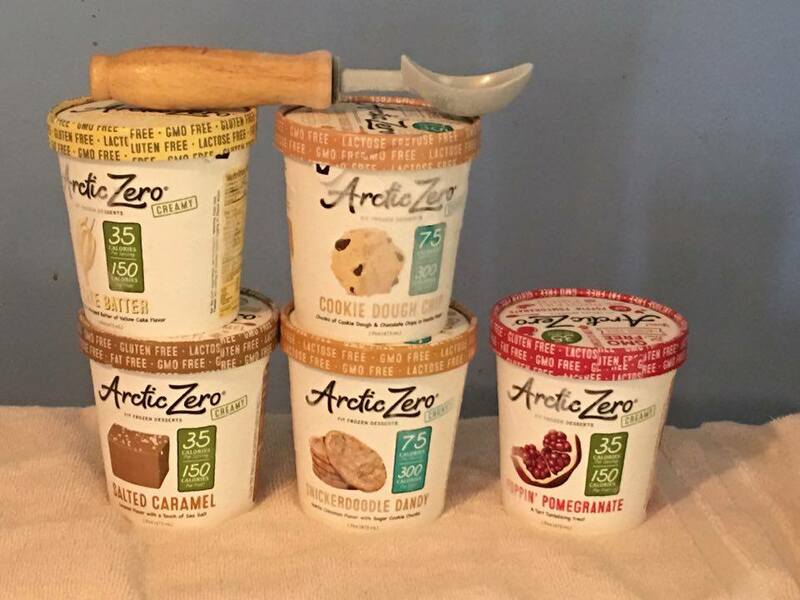 We were extremely grateful to be able to review FIVE pints of ARCTIC ZERO'S Fit Frozen Dessert. The flavors were: Salty Caramel, Cookie Dough Chip, Snickerdoodle Dandy, Cake Batter and Popping Pomegranate. We also received a dessert scoop. My favorite was Salty Caramel, after my first creamy spoonful I was like Ooh Yeah ... YUM! Each flavor was creamy and delicious. I took them out of the Freezer an evening my daughter had came, while my granddaughter was at Girl Scouts. There was just her, my son and I. We started out with cute little dessert bowls and a scoop of our choosing. We ended up with our own spoons after having a few ahem, tastes of everyone else's flavor. Each flavor had it's own creamy, distinct, great taste. I don't care for natural pomegranates but I did like the Poppin' Pomegranate Arctic Zero Fit Frozen dessert. It wasn't my first or even second choice but I liked it enough to eat almost the whole thing. My son and I have unique living arrangements. When I bought my home I had him added as the second owner making it much easier for him, whenever my time comes. In the mean time I live downstairs and he has an apartment upstairs. This situation works out well for us. We are there to help each other out. On the down side we know a bit too much about each others personal business. He and I both have health issues. I am drastically over weight, for one. He has stomach and upper GI issues. They started out just as a little heartburn and bloat (15 years ago) and have progressed dramatically. He tells me I need to loose weight because he worries about me, in turn I tell him he needs to lay off the junk food. Well, we came to the agreement that both of us would try to eat healthier. This is where Arctic Zero fits in. I know there are many women, well and men, children that can turn down a bowl of ice cream, pudding, cheese cake but I am not one of them. I have a love of sweet creamy desserts as does my son. My weight wasn't enough to keep me away from them but, my diabetes is another story. I was forewarned that if I kept eating the way I was, I would get it and to my dismay they were right. Diabetes can be controlled, although, from everyone I have talked to it is a challenge. 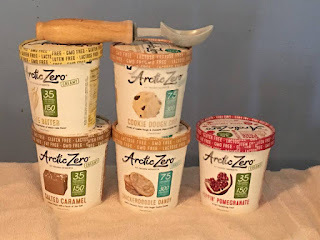 I really seriously needed to find an alternative so I wouldn't keep going back to the desserts that hurt me the most, with Arctic Zero Fit Frozen Desserts I believe I have found their replacement. Another thing, I realized I wasn't having the harsh cough after Arctic Zero that I have with ice cream, pudding, cheesecake even pizza. I am wondering if maybe I have some type of allergy to something in them foods that Arctic Zero does not add to their desserts. On ARCTIC ZERO'S Facebook page they have giveaway for their awesome product and great swag. All of their social media links are below for you to just click and you'll be there! I'm headed there now hoping to snag me some swag! 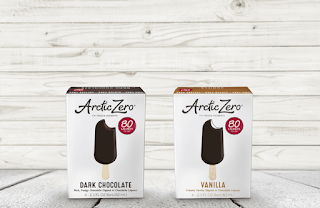 ARCTIC ZERO Creamy Pints are blended with premium ingredients for a sweet treat with zero compromise. 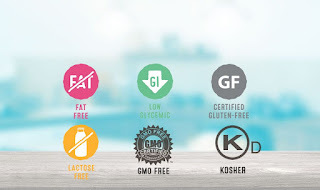 Their products are low glycemic, certified gluten free, fat free, GMO free, lactose free, vegetarian and kosher. ARCTIC ZERO is handcrafted from premium ingredients. You won’t find any artificial flavors, sweeteners or colors. How awesome is that and it tastes great! They have added to the Chunky Pints selection: A Lil' Bit Chippy *NEW*, Buttery Pecan *NEW*, Cookie Dough Chip *NEW*, Cool Mint Chip, *NEW* and Key Lime Pie *NEW*. Also in the Creamy Pints: Toasted Coconut *NEW*, Salted Caramel *NEW*, Orange Dream *NEW*, Purely Chocolate, Vanilla Maple, Chocolate Peanut Butter, Simply Strawberry, Hint of Mint, Cookie Shake and Cappuccino. They have recently added to the FIT FROZEN Bars: SALTED CARAMEL and MINT. I can't wait to try the Vanilla Bars, Chocolate Peanut Butter, Toasted Coconut, Key Lime Pie and Orange Dream! The Arctic Zero Mission: Through a spirit of innovation and a commitment to the highest quality, ARCTIC ZERO provides Fit Frozen Desserts to the world with zero compromise. Company Overview Our love of ice cream runs deep, like eat-the-entire-pint deep. You know that feeling you get when you have to choose between indulging your sweet tooth and maintaining your healthy lifestyle? We dislike that. A lot. That’s why we created ARCTIC ZERO. Made with the finest quality whey protein and sweetened with antioxidant-rich monk fruit, our desserts are nutrition-packed to boost energy, improve muscle tone and help you be your best. You won’t find any artificial flavors, sweeteners or colors here. So whether you’re looking for a post-workout snack, watching your weight or following a special diet, our handcrafted desserts are the perfect way to taste the sweet life with zero guilt. You said the magic words: no artificial flavors, sweeteners, or colors. This stuff sounds perfect. I'll have to see if I can find it at one of my stores. I haven't seen these in our grocery stores, but really want to try one. Will have to ask about it! I have never seen this product but oh how I need it! I am also diabetic with a very large sweet tooth!! I'm pretty good at watching what I eat--until I'm NOT. I'd better go to their site and see if it is sold around here.